I am a horrible food stylist. It seems to be a talent that many food bloggers have. They spend lots of time shopping for the perfect plates, utensils, and tableware in order to take gorgeous photos. I have to admit I hate shopping for photo props. While I love the second hand store, I don't like shopping for vintage tableware, or linens just to make my photos pop. Plus, with overly propped photos I never know if I am supposed to be looking at the food. I get distracted by the beautiful colors, tableware, plates etc. and more often than not the food becomes the prop instead of the focal point of the recipe that it is supposed to be representing. Honestly I am also a little bit jealous. I wish that I had the patience, time, and follow through to be able to spend hours putting together my photos. Most days I am lucky if the food gets on the plate and the photo taken. One thing I do love is angles. I spend more time finding the right angle for my photos than the worrying about the props. After preping, cooking, and plating my food I just want the angle of the photo to represent my food in the best light and hope that maybe no one will notice that I didn't spend hours finding the perfect vintage table linen for my shot. Today's recipe is an example of my less than stellar food styling abilities. When I had time to take the photo the mint had all been used and I had no leaves left for photo props. So I am sad to admit that my mint iced tea photos have no actual mint in the picture. Oh well, without further ado here is the breakdown of the recipe I tried today from the Food Network for Mint Iced Tea. This recipe has 6 ingredients. It takes 2 hours and 20 minutes of total time, 10 minutes of which is active, and makes 4 servings. I only made a few small changes to the original recipe. First, I doubled the recipe to use the large amount of fresh mint that has exploded in my garden the last couple of day. Second, I used half sugar and half stevia. Whenever possible I try to reduce the amount of sugar in drink recipes since my kids are hyper enough without a ton of extra sugar added to their diet. My youngest son fell in love with this recipe. He drank half of the pitcher this afternoon and insisted on drinking it with a sliced lemon on his glass, it was pretty cute. If you aren't a huge fan of mint you can take out the mint after a couple of hours and the tea will be more lemony than mint tasting. On the flip side if you are like my family and love mint, let the mint steep in the fridge for most of the day and the tea will have a nice crisp flavor. For the recipe go to Mint Iced Tea. This iced tea looks delicious. I use the same space almost all the time for my food photos. if I can catch natural light, even better. I am terrible at food photos, too. I have poor lighting in my house, which does not help at all, either. I have poor lighting in my house too. There is only one window that has decent enough light for photos. You are doing great with food photography, Ann. The tea looks perfect as well! They never seem to look as exciting as everyone else's :) Thanks for the nice compliments though, I really do appreciate them! I have to try this! I make mint iced tea a lot but have never had it with lemon. I think it sounds so refreshing! 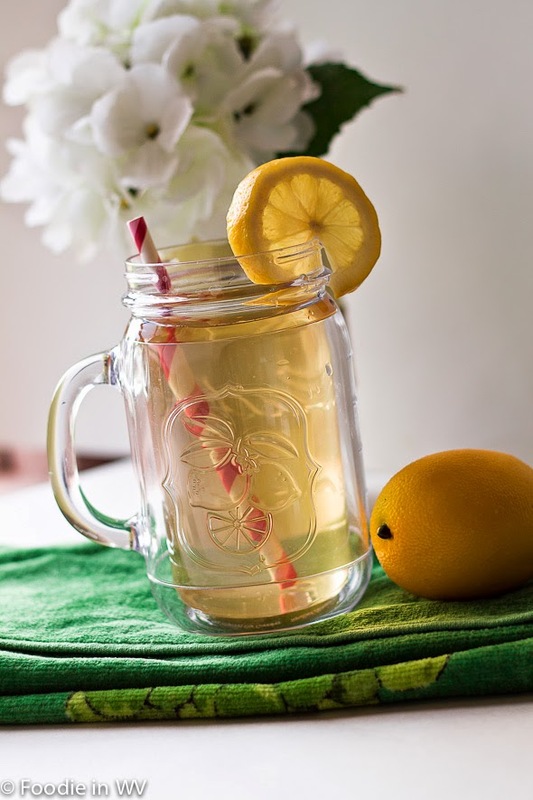 The lemon gives the tea a nice tart taste to go along with the crispness of the mint. It's really refreshing! I can see why your son loved it. :) I like the mint, it's a nice addition. He really did love it, he keeps asking me to make some more! 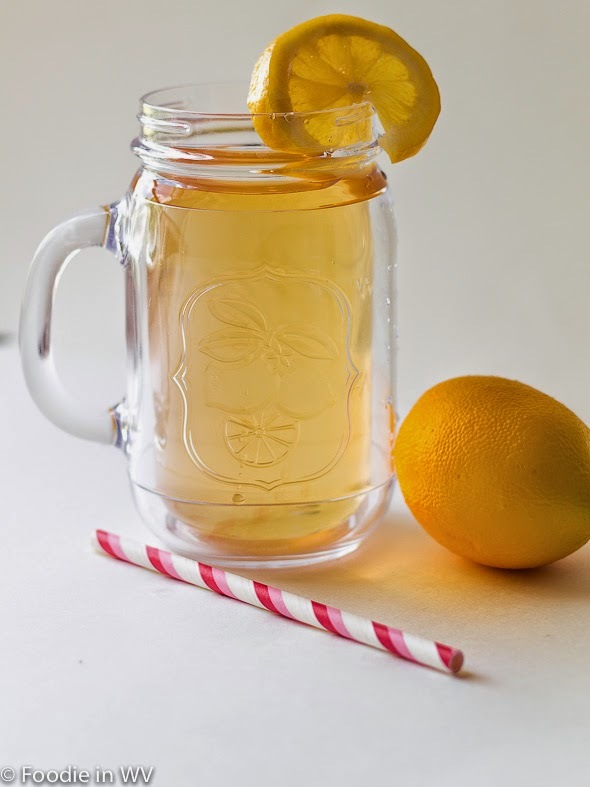 I love iced tea and drink it all summer long! Awesome pics! I drink it all summer too. It's a great way to cool down in the heat! 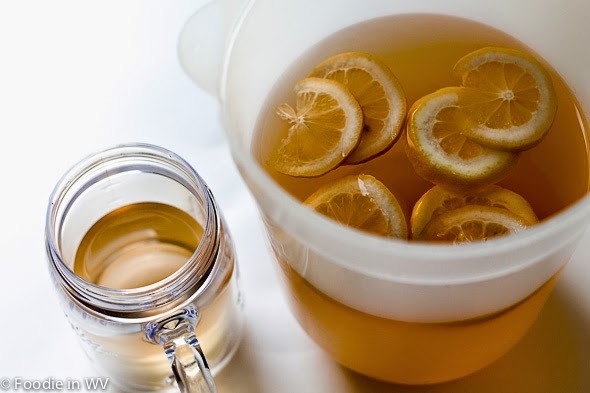 Thanks :) It really is a great summer drink and so easy to make! I love how refreshing this drink looks Ann.... the staging look good! I think I overdo it a bit in the prop department... my husband just shakes his head! Have a great weekend! !